Oh, my. The sword gets more and more uppity by the moment. Wiglaf is going to have to think of a way to gag it. I know! Half-naked pics of Wiglaf and Mordred are always appreciated. 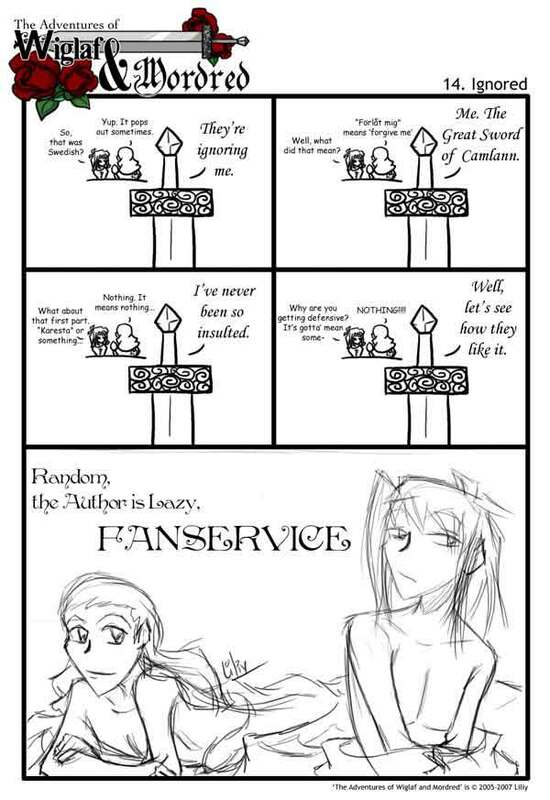 Fanservice! XD they ARE in love. Karesta means “sweetheart”…nice one Wiglaf. Webcomic Rule #48: When out of ideas, resort to Fansevice. It always works. “Karesta” means “My love” doesn’t it? I looked it up, Karesta means darling.